In February this year, we reached a very special milestone with one of our communities. That month, we celebrated the 10 year anniversary of our management partnership with the Greensbrook (Section 4) Community Association! During our partnership, the community has made huge strides toward their financial goals. Ten years ago, the community was spending as much or more than they were bringing in each year with no ability to set money aside into their Operating Fund. We are proud to say that the community will be fully funded within 3 years. This has been accomplished with few assessment increases; in fact, the current assessment has remained the same for 5 years. 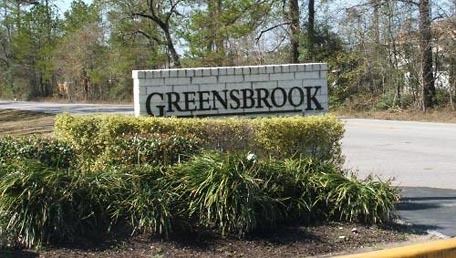 Greensbrook Section 4 is home to almost 200 families; and while it may be small in number, it is big in spirit! In 2015, a few new and energetic volunteers stepped forward to make a difference in their community. Angelo Traylor was welcomed as the new board president and was mentored by the incumbent president. Mr. Traylor’s main focus was safety in the community and the board has been promoting the development of a Crime Watch Committee. It is a pleasure to work with a community that can identify their needs, set goals and work to their fruition. Congratulations to Greensbrook Section 4 Community Association for being named our May 2016 Community of the Month.